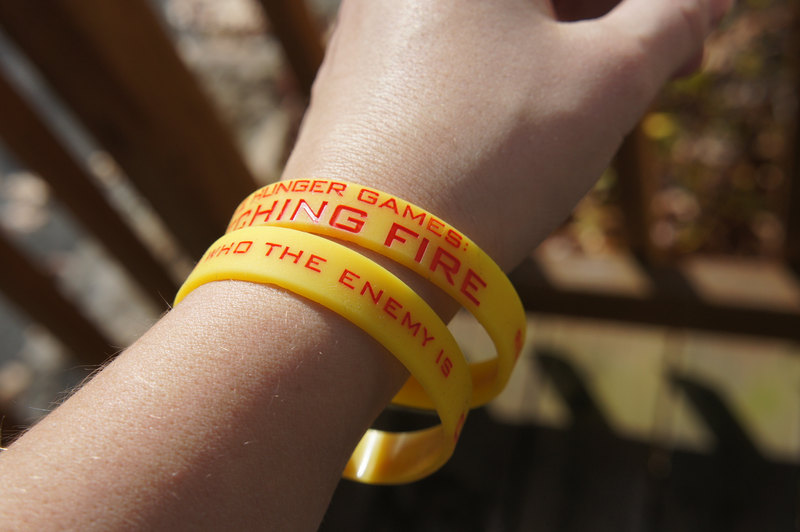 Positively Amy: Hunger Games is Coming Sooonn!! 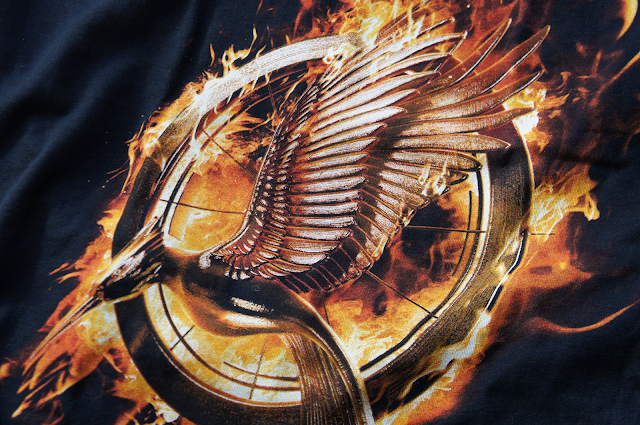 Hunger Games is Coming Sooonn!! So if you know anything about anything, you know Hunger Games: Catching Fire comes out in TWO days. TWO!! I'm more than ready. I'm going to be adorned in the following items (minues the t-shirt because it's too big and I don't want to be a hoodlum). Maybe I'll get crafty and shrink and bedazzle it somehow. 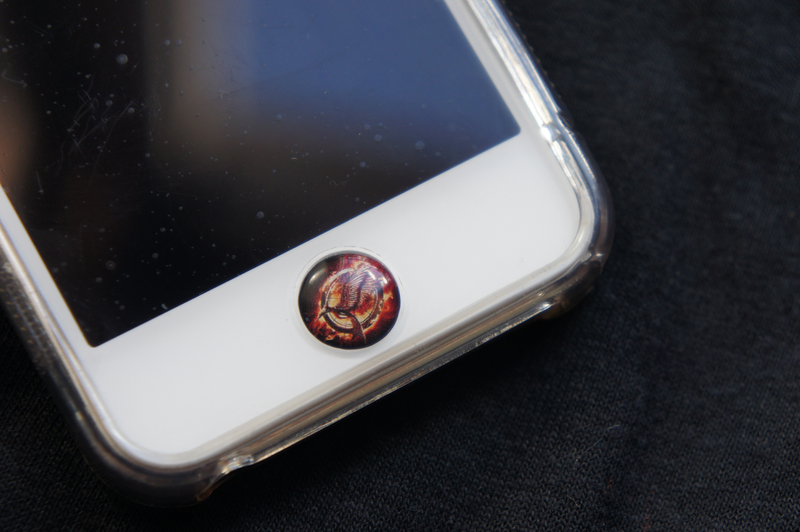 Tom was a little jealous of my mockingjay pin iPhone button, so I gave him one too. 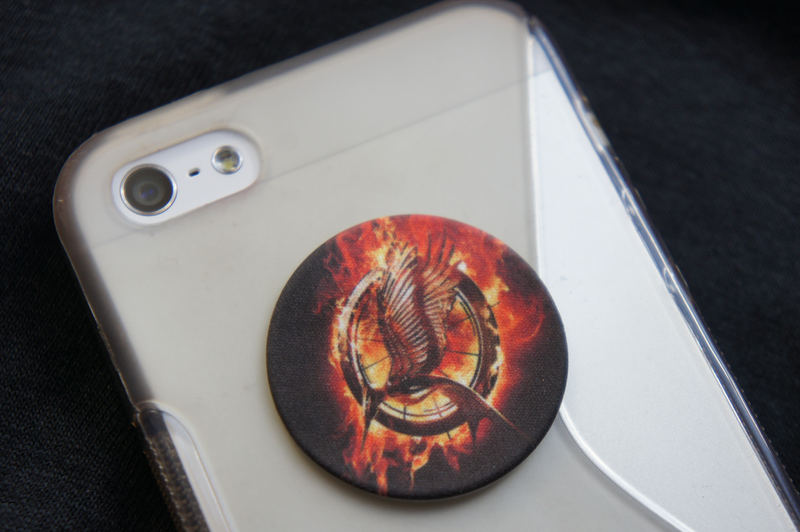 If you'd like to look as cool as me and my phone (don't deny it) when you venture out to see Catching Fire, enter below. 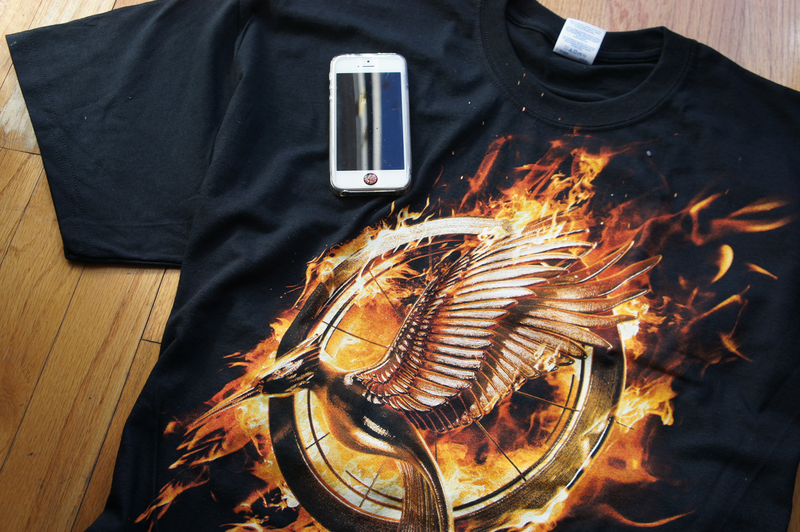 Includes 1 t-shirt, 1 set of iPhone buttons, 1 screen cleaner, two wrist bands, and one official poster (of Katniss!). Okay, you are WAY more into it than I am but I am excited too! I'm way super excited! (Maybe not quite as much as you though...) I did re-read books 2 & 3 last month, and I've been wearing my own Mockingjay pin to work all week as well. I'm not going to the premiere night, but probably one day next week. Can't wait!! So excited to see this movie it isn't even funny!